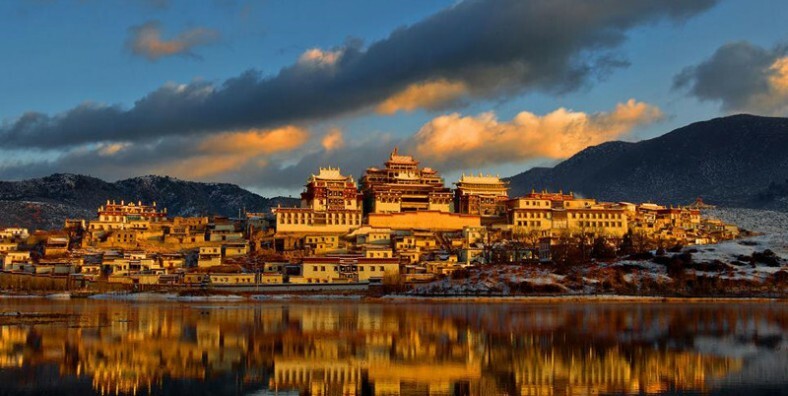 Shangri-La, a county-level city in northwestern Yunnan province, was formerly called Zhongdian County, where you can view the splendid natural scenery and experience local Tibetan culture. During this tour, we will visit the popular attractions including Dukezong Old Town, Guishan Park, Napa Lake, Songzanlin Monastery. Enjoy the spectacular views along the road: First Bend of Yangtze River and Tiger Leaping Gorge. Visit the top attractions in Shangri-La: Dukezong Old Town, Guishan Park, Napa Lake, Songzanlin Monastery. Discover the profound culture of local Tibetan. At 08:30 am, meet your guide & driver at the entrance to Lijiang Old Town (Big Water Wheel) and then drive to Shangri-La city. On the way, have a nice view of the First Bend of Yangtze River from afar and continue to visit Tiger Leaping Gorge which is the deepest gorge in the world. After that, drive about 2 hours to Shangri-La and check in hotel. Later stroll around Dukezong Ancient Town and walk up to the top of Guishan Hill to see the Grand Prayer Wheel and have a panoramic view of Shangri-La city and Dukezong Ancient Town. After the tour, back to hotel and have a good rest. Today visit Songzanlin Monastery and Napa Lake. After that, pay a visit a local Tibetan family and have a simple Tibetan lunch for free. Drive back to Shangri-La city and service ends.